This book is good enough that I loaned it out and it's never been returned, so I can't give you any specific review points apart from it's a well thought out book of jazz theory, harmony, and practical application and will easily find a place in your jazz book library. A one-of-a-kind book encompassing a wide scope of jazz topics, for beginners and pros of any instrument. A three-pronged approach was envisioned with the creation of this comprehensive resource: as an encyclopedia for ready reference, as a thorough methodology for the student, and as a workbook for the classroom, complete with ample exercises and conceptual discussion. Includes the basics of intervals, jazz harmony, scales and modes, ii-V-I cadences. For harmony, it covers: harmonic analysis, piano voicings and voice leading; modulations and modal interchange, and reharmonization. For performance, it takes players through: jazz piano comping, jazz tune forms, arranging techniques, improvisation, traditional jazz fundamentals, practice techniques, and much more! Customer reviews on amazon.com for Jazzology average a glowing 5 stars! Here is a typical reader comment: "The book's approach is so intuitive, it almost leads you by the hand into the world of jazz. Certainly jazz is freedom of expression, but you have to know what you're doing and this book is the tool for that ... (it) should be standard in every high school with a jazz program and every college lab band." As an older learner and, as far as jazz theory goes ONLY, I am mainly self-taught with a few lucky odd lessons here and there, so I struggled with some of the concepts although they were well explained. This could be because of my senior years and/or the fact that I'm just coming out of a six-month course of treatment that certainly affected my speed of thinking for a while. a standard text and should definitely be on the reference shelf of all jazz pianists/composers/arrangers especially at this price. 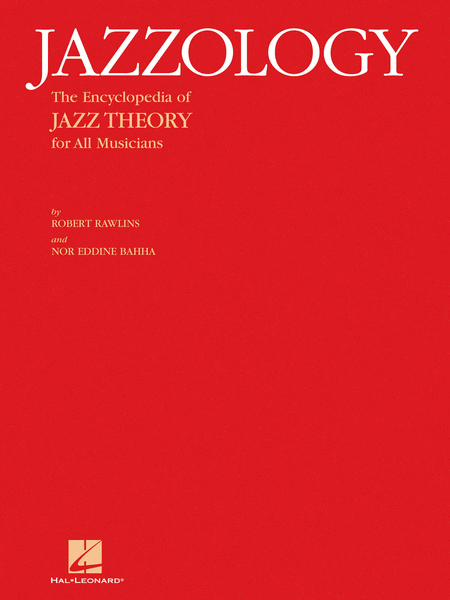 "One of the best Jazz theory books I've ever read"
This book is phenomenal. I'm a professional musician and composer with a classical background and I love getting theory books to get new ideas and understand non-classical methods of thinking. I can honestly say that this book is one of the best I've ever found. Because it was written by both a jazz musician and classical musician, ideas are explained in ways that are very easy for me to relate to, but the book also reveals jazz concepts I was unfamiliar with. I have learned a ton from this book and it is a permanent and welcome addition to my library. It is well written, easy to understand, flows well, and is organized very clearly. I have to say, I wish I had gotten this instead of getting Levine's book years ago. I'm still glad I have Levine's book, but I find this to be a great counterweight to it. "Down to earth and practical, September 20, 2005"
This book is very very down to earth. i've seen many theory books and have recieved quite a few desk copies. most theory books give me the hives. they seem very far away from 'the music'. this book is right in there. talks about piano voicings for non-piano players, a section on improv. everything seems like stuff you can teach, students can learn, and everyone can apply directly to the music. which is what most of us want the book for, right? "I've only just got the book, so these are my first implressions. " I'm really impressed with this. It's beautifully printed and bound with that really nice binding system that O'Reilly use for their technical books so it stays open and lies flat. The contents are very well written and explain things simply without being condescending. I've been reading quite a few different books on intervals and chord construction recently, this is by far the best I've come across. The writers seem to have struck a good balance between a readable tutorial and a useful reference. I really like the format and the exercises that are liberally sprinkled all through the text look very useful . I have the feeling this is going to be keeping me very busy for the next couple of months. I can't recommend this highly enough.